I am a Ph.D. candidate in Applied Economics and an ICGC Fellow at the University of Minnesota – Twin Cities. Here is my current CV. Currently, I serve as Data Analytics Advisor for the Stock Exchange of Thailand and TRUE Insights. My expertise is combining economic theory with applied econometric techniques to extract insights from large-scale data sets. My academic research focuses broadly on the economics of public policy, growth, and human capital development. I am also an influencer in the Thai popular media. In this capacity, my goal is to explain complex economic issues to the public and communicate the value of evidence-based policymaking. You can read interviews about my view on Big Data, Economics, and Public Policy (in Thai) at the Matter, the Standard, and ThaiPublica. 01. DATA ANALYSIS & RESEARCH. Since 2016, I started a new role as data manager and research assistant working within the partnership between the University of Minnesota and the Minneapolis Public Schools. My main responsibility was to harmonize and de-identify Human Resources data to help link pre-hire and post-hire characteristics of teachers over time. This effort to connect and systematically manage the data warehouse allows me and my fellow researchers to pursue new studies that can help improve Human Resources decisions with data science and economic theory. From 2013-2014, I served as a full-time research assistant for Professor Joseph Aldy and Professor Joshua Goodman. In this capacity, I oversaw data management across multiple projects in the areas of education policy and environmental health economics. I wrote Stata programs to construct large-scale education, job-training program, climate, and health datasets as well as conducted statistical analysis to identify causal program effects. An intermediate course in managerial economics, accounting and finance, and production economics. The course is a capstone course aimed at integrating these concepts within the context of the food economy. A hybrid microeconomics course that includes an online learning component and a face-to- face class component. As teaching assistant, I led mock trial and debate sessions where students apply economic theory to real-life disputes. An advanced econometrics course with a focus on application and practice. The goal of this course is to teach students to use the appropriate quantitative methods, interpret results, and draw insights from real data. I believe that effective communication (whether through words, talks, or visualizations) is key to deliver value. Doesn’t matter if it’s a research finding or a product! This is my personal website where I publish my views on topics that are changing the world. These range from the future of money and work to how big data can help improve public policy. I regularly publish op-eds on education policy and the global economy at ThaiPublica.org, a Thai non-profit online newsroom that focuses on investigative journalism and data journalism. 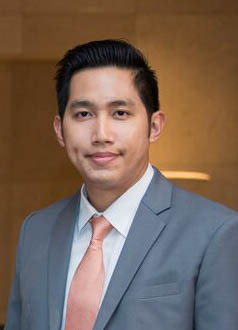 I have a biweekly column at Stock2Morrow.com, a premier all-in-one Thai investing education center. I explain complex economic concepts and financial news in simple and easy-to-understand language. Below are my original research papers. Question: Does diversity (racial, linguistic, or income) really reduce people’s willingness to contribute to society? Answer: No (for the racial and linguistic dimensions), only income inequality does. Abstract: Recent studies in the economics literature suggest that within-community heterogeneity may impose significant societal costs, such as ethnic conflicts and increase collective action problems. 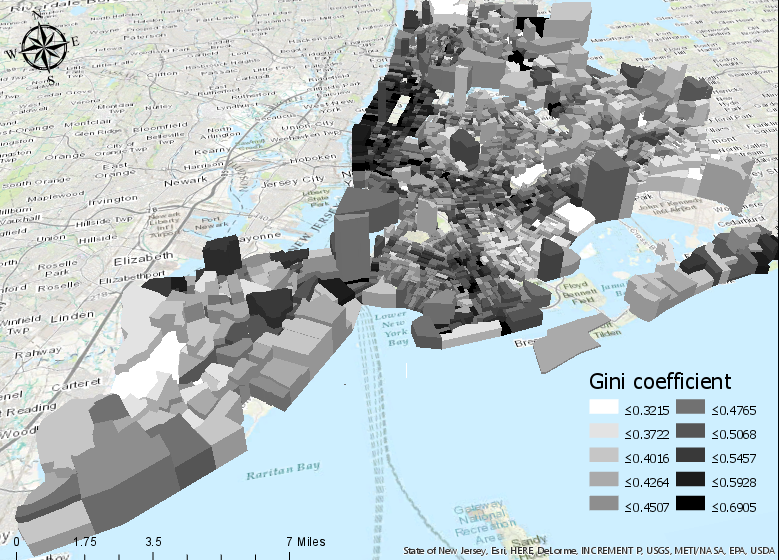 This paper empirically tests the relationship between three dimensions of heterogeneity, racial, linguistic, and income, on the private contribution of local public goods. Using a panel data set containing over two million non-emergency service requests and detailed census-tract level socioeconomic characteristics data from the American Community Survey, I find that, contrary to the prevailing view in the literature, racial and linguistic heterogeneity have little to no effect on the voluntary contribution of local public goods. Income inequality, on the other hand, reduces private contributions by a significant margin. Instrumental variable estimates consistently point to a reduction in private contributions of around 2.5 percent for every 0.01 point increase in the Gini coefficient. Due to the specific nature of how service requests are made, I conclude that this negative relationship is driven primarily by the taste of the beneficiary mechanism. Question: How much extra money do we have to pay teachers to make them consider the possibility of transferring to high-need schools? Answer: Upward of $3,000 a year for an average teacher. More for teachers holding an advanced degree or for highly effective teachers. Abstract: The distribution of teacher quality across schools is a major concern for policymakers. In most administrative data sets, high-performing and high-experience teachers tend to be concentrated among high-achieving schools serving students from relatively advantaged backgrounds. The literature points to teacher mobility as a potential major contributor to these sorting patterns. In this paper, we analyze the causes of these patterns using the Minneapolis Public Schools (MPS) administrative data sets and data from MPS own web-based internal teacher labor market, where schools post vacancies, send interview invitations and submit a rank order list of candidates to whom they send offers. We find that the average MPS teacher prefers schools with high proportions of white students and teachers, high math achievement, high school quality ratings, high average teacher experience, and low pupil-teacher ratio. Using the cost of travel distance and the variation in pay-for-performance regime at each school, we estimate that the district can expect to pay up to $3,000 to attract desirable candidates to work at hard-to-staff schools. These sorting patterns are then reinforced further as schools prefer applicants who are relatively more effective, holding an advanced degree, and not in their early-career. Using the estimated preferences, we identify that a rule that automatically gives interview slots to the five most senior applicants can create efficiency loss for 14 percent of all job postings. Question: We all know air pollution kills. But does air pollution also adversely affect learning? Abstract: Understanding the impact of air pollution on academic performance is important for quantifying the welfare costs of air pollution beyond adverse health effects. Recent studies have shown that exposure to air pollution is negatively associated with school attendance and student test scores. Given the strength and the amount of evidence linking academic performance to long-term outcomes, it is plausible that current estimates of the benefits from clean air maybe underestimated if air pollution reduces educational attainment and skill development. Using an exogenous variation in the levels of air pollution from the closure of Terminal E at the Dallas/Fort Worth International Airport (DFW), I find that the closure led to a 1.0 to 2.8 percent of a standard deviation increase in the Texas Assessment of Knowledge and Skills (TAKS) assessments scores and a 3.7 to 7.3 percent increase in the proportion of students with commended performance. While the effects on commended performance rate are stronger in high-school-age children, the effects on passing rate are stronger in elementary-school-age children.